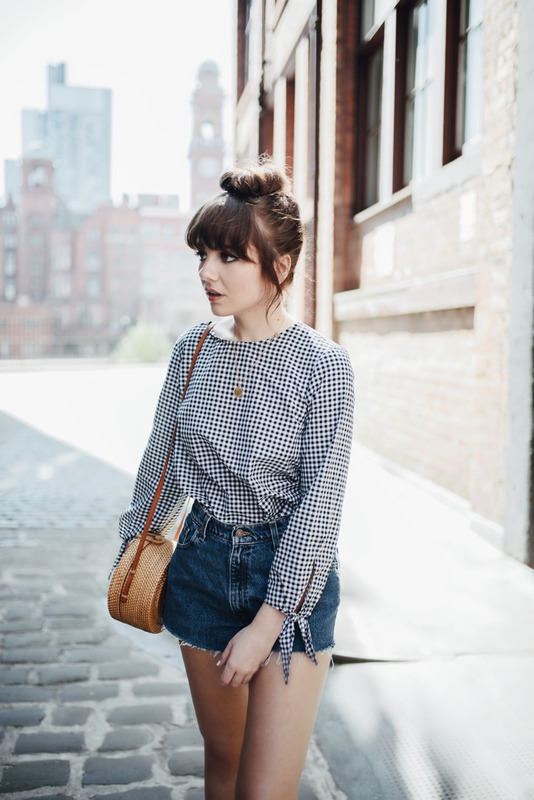 What better print is there for summer other than gingham? 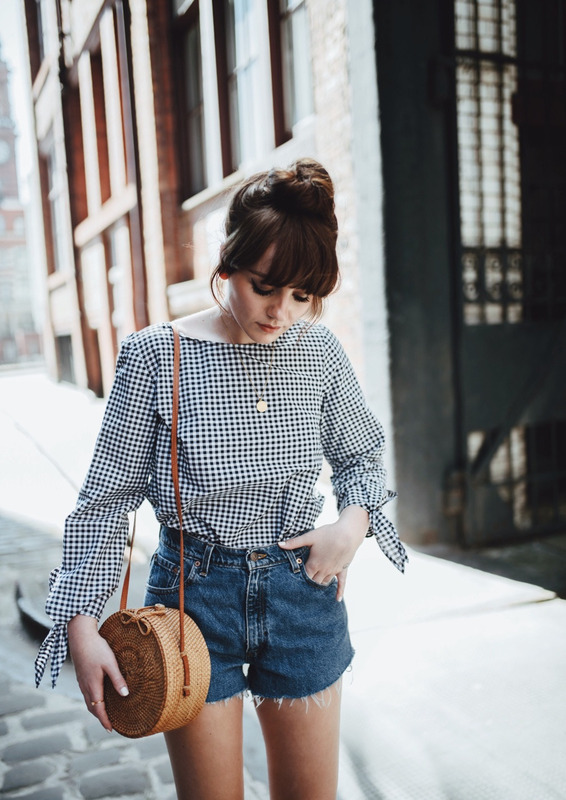 It adds an instant summery pick me up to any outfit, and can look really chic or playful depending on the type of print you choose. 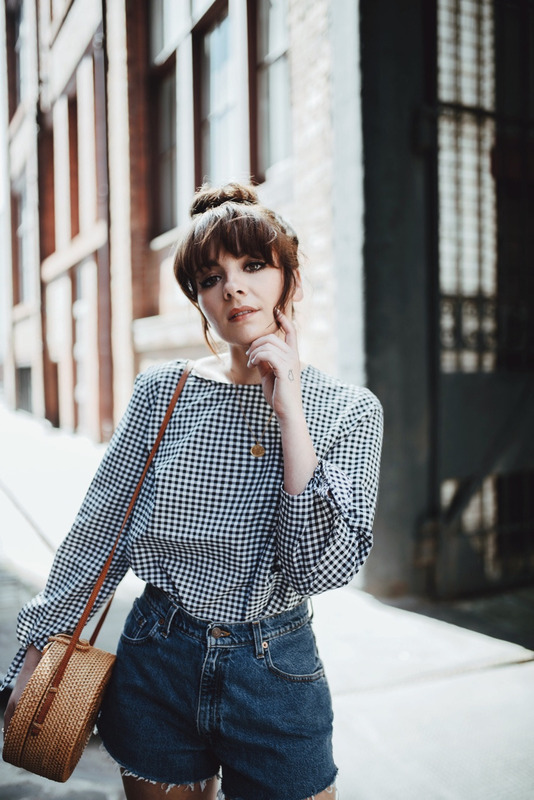 I love this little Topshop blouse that I picked up a few months ago now, I find that’s it’s a really flattering shape on me, and it’s nice and breezy for those hot sticky Summer days. The little arm ties are the best part – they just add that sweet little edge to the tough denim shorts. 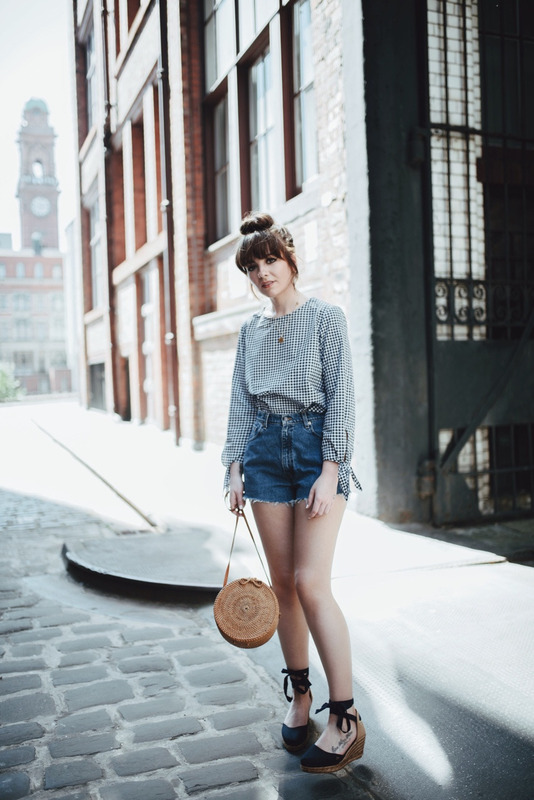 It’s that contrast that makes denim shorts so fun to style, there are literally endless outfit options once you find a pair that’s right for you.